A hot slice of pizza and an oldie-but-goodie film go together like warm bread and olive oil. Pellicola Pizzeria, DTLA’s late-night pizza joint, is bringing throwback screenings to Tuesday night diners for an ongoing series of good grub and '80s movie hits. Order up local favorites like the pesto Tricolore or sweet Nutella pie, while kicking back to classics like Back to the Future (with a trusty bag of popcorn, of course). 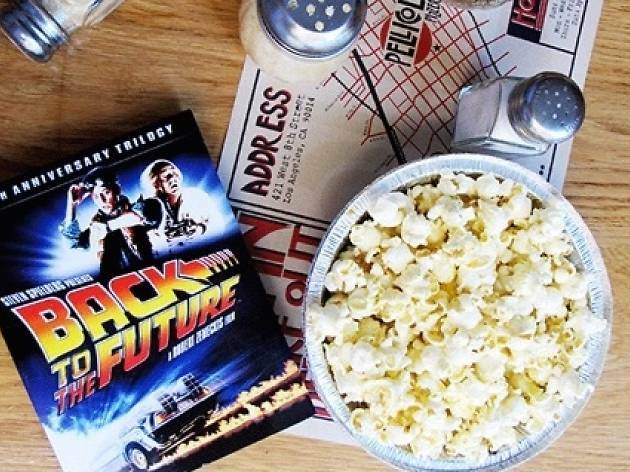 Whoever said Tuesdays were all about tacos just hasn't been to Pellicola Pizzeria’s Throwback Tuesday Movie Nights.